So, you’ve decided to invest in cryptocurrency. However, you’re confused and don’t know where to start. With so many options available, it can be difficult to choose the best option for you. Plus, there are lots of things you need to think about before you start buying cryptocurrency. How to buy cryptocurrency using USD, EUR and GBP? What is the best way to buy cryptocurrency? Can I buy cryptocurrency using a credit card? By the end of this guide, you’ll know exactly how to buy crypto, which is the best way for you and where you should go to do it. So, let’s get started! 2 How to Buy Cryptocurrency: Where to Buy Cryptocurrency? 2.5 How to Buy Cryptocurrency: So Then, What’s the Best Place to Buy Cryptocurrency? To find out how and where you can buy cryptocurrency, it is important for you check your country’s regulations. The most common and accepted payment methods to buy cryptocurrency include: credit card, bank transfer or even cash. Different websites accept different payment methods, so you’ll need to choose a website that accepts the payment method you want to use. Not all cryptocurrencies are available for purchase on every website. You will have to find a website that sells the cryptocurrency that you want to buy. Each website has different fees. Some are cheap, some are not so cheap. Make sure you know how much the fees cost before setting up an account on any website. You don’t want to waste your time verifying yourself and then find out the fees are too high! As with any investment, you should never invest more than you can afford. I recommend speaking to a financial adviser first. With those 5 factors in mind, we can move on. When you buy your cryptocurrency, though, where are you going to store it? I’ll give you a hint: it’s not your bank account. A cryptocurrency wallet is where you store your cryptocurrencies after you have bought them. You can compare a cryptocurrency wallet with your bank account. In the same way that you store traditional currencies (USD, JPY, EUR etc.) in your bank account, you will store your cryptocurrencies in your crypto wallet. There are a lot of easy-to-use and safe options to choose from. It is important that you choose a highly-secure wallet, because if your cryptocurrency gets stolen from your wallet, you can never get it back. The wallet you need will depend on which cryptocurrency you want to buy. If you buy Bitcoin, for example, you’ll need a wallet that can store Bitcoin. 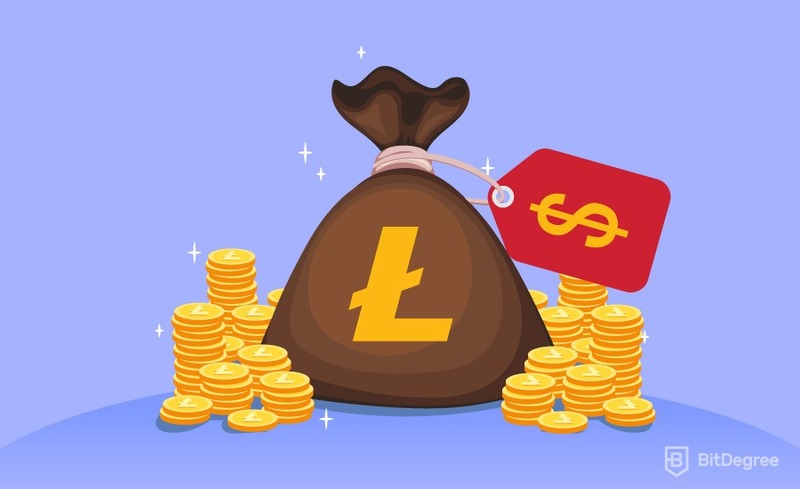 If you buy Litecoin, you’ll need a wallet that can store Litecoin. Luckily, there are a lot of good wallets to choose from that can store multiple cryptocurrencies. Exodus, for example, is a software wallet that can store Bitcoin, Ethereum, Litecoin, Dash, EOS and more! As for hardware wallets, I recommend Ledger Nano S. It is super safe (because it is only connected to the internet when it is plugged into your computer) and costs around $116. It stores NEO, Bitcoin, Ethereum, Bitcoin Cash and many more! Now that you know where you’re going to store your cryptocurrency, the next step is to find out which is the best place to buy cryptocurrency and how to pay for it. 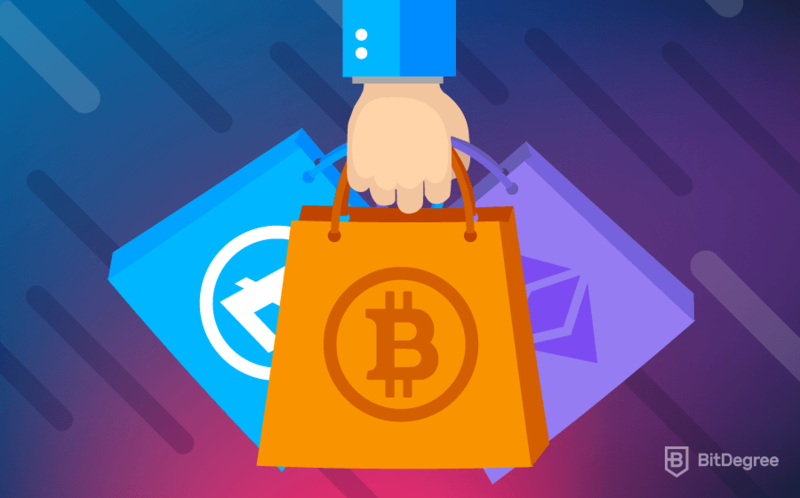 How to Buy Cryptocurrency: Where to Buy Cryptocurrency? To learn how to buy cryptocurrency, you’ll first need to know where to buy cryptocurrency. Just one year ago, there were only a few places to buy and sell cryptocurrencies. But now there are a lot more! Let’s look at the different places and ways you can get your crypto. Cryptocurrency exchanges are online websites which let you exchange your local currency for cryptocurrency. Exchanges are the most popular way for buying cryptocurrency. I recommend newbies to use these exchange websites as they are easy-to-use and quick to set up. Payment Method: Most of the exchanges accept payment by bank transfer or credit card, some of them also accept PayPal. There are a lot of exchanges for you to choose from. Each one of them has different levels of security and they each accept different types of payment methods. Most exchanges will ask you to follow the steps below before you can start buying cryptocurrency. Note: Almost all exchanges charge a transaction fee of around 1-4%. Once your account is set up, you can start buying cryptocurrency on the exchange. Most exchanges are just like stock-trading platforms: you can buy and hold your cryptocurrency, or you can exchange it for another cryptocurrency. Check the security of the exchange. This is the most important thing you need to consider as investors have lost lots of money in the past when the exchanges have been hacked. Transaction fees – The lower, the better. The number of payment options available: do they accept bank transfer, credit card, PayPal etc.? The amount of time it takes to activate your account — if you’re in a hurry, you might not want to wait a long time to get verified! Which cryptocurrency options they offer. For example, if you want to buy the NEO coin then you need be sure that the exchange you choose sells the NEO coin. Check user reviews related to the exchange! This will give you a good idea of how friendly the exchange website is to use. Broker exchanges are like the currency exchange shops that you find at airports. However, instead of exchanging different local currencies with each other (such as YEN to USD), you can exchange your local currency for cryptocurrencies. It’s the simplest way to buy cryptocurrency — it can even be done from your cell phone! Coinbase is the biggest and most popular cryptocurrency broker exchange. It is secure and accepts bank transfer, credit/debit card and PayPal. Their fees depend on which payment method you choose, so be sure to check before you pay! Card fees are the highest at 3.75%. If you live in Asia, Africa or South America, you probably can’t use Coinbase. It is mainly only available in Europe, Australia and North America — you can see a full list of the available countries here. Coinbase fees also depend on your location, so be sure to check here to find out how much the fees are where you live. 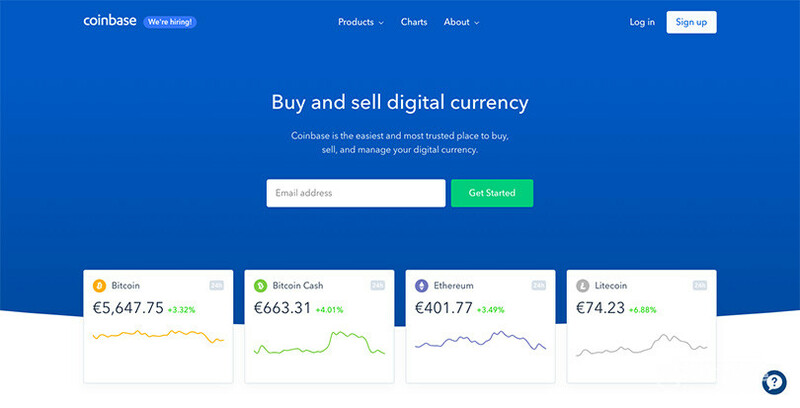 You can buy Bitcoin, Ether, Litecoin, and Bitcoin Cash on Coinbase. The biggest advantage with Coinmama is that it allows customers from almost any country to buy and sell cryptocurrency. It is easy to use, and it is highly trusted — it was founded in 2013! It does allow you to use credit card as your payment method, but it charges 6% to do so. That’s quite a bit higher than the 3.75% that Coinbase charges! As well as being available in almost every country, Coinmama has another big advantage: it accepts every local currency! You can only buy Bitcoin and Ether on Coinmama. CEX.io is easy to use and very secure, just like Coinbase and Coinmama! The best thing about CEX.io is that it is also a trading exchange. This means that once you have bought your crypto, you can trade it for other cryptos by buying and selling to other people on CEX.io. Another thing that makes CEX.io different is the fact it accepts USD, EUR, GBP and RUB! The fees for debit/credit cards on CEX.io is 3.5% + $0.20. You can also use bank transfer. You can buy Bitcoin, Ethereum and DASH on CEX.io. Founded in 2011, Bitstamp is one of the oldest cryptocurrency exchanges. You can buy more different cryptocurrencies on Bitstamp than you can on Coinbase. It accepts bank transfer and credit/debit card with EUR and USD. I wouldn’t recommend this website for total beginners though, as it isn’t as easy to use as Coinbase and Coinmama. Also, it charges high fees to purchase small amounts using your credit card. The fees for using your debit card on Bitstamp are 2% if you deposit more than $1,000 but $10 if you deposit less than $1,000. I certainly don’t recommend using Bitstamp to spend just $5! You can buy Bitcoin, Ether, Litecoin, Bitcoin Cash and Ripple on Bitstamp. Last but not least, an exchange that opened its doors recently, yet shows a great potential. Kriptomat opened its doors in 2018 and is the youngest brokerage on our list. Their main operation hub is in Slovenia, but the company is actually located in Estonia, as Estonia is one of the few countries that has the necessary legal framework and they have already started regulating digital currencies by introducing licenses for Crypto Exchanges and Crypto Wallets. Kriptomat aims to offer the safest fiat gateway into the world of cryptocurrencies and has already acquired operating licenses by the Financial Intelligence Unit, the Estonian Anti Money Laundering (AML) authority. Having strict regulation means that users have to go through a vigorous process of identity verification. Yet, this process is very simple on Kriptomat and takes only 5 minutes of your time to upload all the necessary documents. In some countries, you can even do it via mobile! The main disadvantage of Kriptomat is only supporting Bitcoin and Ethereum trading. Yet being open only several months they are in the process of adding support for ERC20 tokens, which will make it a nice alternative to Coinbase. Kriptomat’s buy/sell fees are 1.45% with no extra fees to withdraw/send crypto. Kriptomat supports 21 languages and provides fast and reliable customer support. You can trade Bitcoin and Ether on Kriptomat. This is a good list for you to start with when trying to decide which exchange is right for you. The best way to buy cryptocurrency using an exchange will depend on many things — especially your location. Always make sure that the coins you want to buy are available on the exchange you choose, and that you are happy with the level of security that exchange offers. Now, there’s something you should know: buying cryptocurrencies on broker exchanges (Coinbase, Coinmama, CEX.io etc.) is not the only way you can buy crypto with your local currency. If it’s Bitcoin or Ether you want to buy, you can buy it with cash. That’s right — you can buy Bitcoin and Ether with cash. Quick note: ‘cash’ means paper money. Never heard of Bitcoin ATMs? Well, they do exist. It is a very new idea, but they are becoming more and more popular. Bitcoin ATMs are just like the normal cash ATMs that we use to withdraw our USDs, EURs, JPYs etc. The only difference is that you deposit cash in a Bitcoin ATM, instead of withdrawing cash like you do with normal cash ATMs. If you want to buy Bitcoin’s quickly then a Bitcoin ATM is the right choice for you. Because they are very new, though, they aren’t available everywhere. In fact, they are quite rare. If you live in a big city, you might have one near you. You can use this map to find out where your nearest Bitcoin ATM is. You don’t have to register or create an account and you don’t have to transfer money. So, just go to the ATM, deposit your cash, and it will send. Important note: If the Bitcoin ATM created a new wallet for you, your cryptocurrency wallet details (public key and private key) will be on your receipt. You MUST keep this safe! So, if you wanted to know how to buy cryptocurrency using cash — using a Bitcoin ATM is one of the ways you can! This is one of the simplest ways to buy cryptocurrency! Peer-to-peer exchanges remove the middleman (companies like Coinbase) and allow users to buy and sell cryptocurrency from each other directly. Imagine this: John is interested in crypto and wants to buy some Ether. John could go to Coinbase and buy it from there, but he’d have to use his identity. Amy wants to sell some Ether but doesn’t want to use Coinbase because she doesn’t want to pay any fees. What if John could just buy the Ether from Amy? That would solve everything! Well, thanks to P2P exchanges, he can! Using a peer-to-peer exchange, John and Amy can avoid the fees and they don’t have to share their identities. Create a free account on a P2P website. Use LocalBitcoins for Bitcoin, and LocalEtherum.com for Ether. Find a listing that you want to buy from or sell to. Think of this like Craigslist. There are sellers that have set a price that they will sell their Bitcoin/Ether for, and there are buyers that have set a price that they will buy Bitcoin/Ether for. Look for payment method on the listing — do you want to pay by cash deposit, bank transfer or Western Union? Search for ID requirements — do you want to pay without using your identity or are you okay with using your identity? If your request is accepted, the amount of Bitcoin/Ether that you ordered will be sent to the website’s escrow. Note: An escrow is a secure place that nobody has control over. When the terms and conditions of the trade are met, the Bitcoin/Ether is released to the buyer. If the terms and conditions are not met, then the Bitcoin/Ether is sent back to the seller. This protects both the buyer and seller from fraud. When the seller sees that you have sent the money and used the reference number, they will confirm it with the exchange. The escrow will release the Bitcoin/Ether and send it to you. How to Buy Cryptocurrency: So Then, What’s the Best Place to Buy Cryptocurrency? There are more ways to buy cryptocurrency becoming available each year — it is a lot easier now to buy cryptocurrency than it used to be. In fact, most of the ways I have shown you in this guide are very simple if you follow our instructions. But, which way is the best way…? Is it through broker exchanges like Coinbase? Through P2P websites like LocalBitcoins? Or is it simply by finding your local Bitcoin ATM? Well, the truth is: it depends on your location and what you want/need. If you don’t live near a Bitcoin ATM, then it’s probably not the best place to buy cryptocurrency for you. Don’t want to use your ID? Then you might want to think about using a P2P website, like LocalBitcoins or LocalEthereum. If using your ID isn’t a problem for you and you want to buy cryptocurrency using an app on your phone, then Coinbase might the best place to buy cryptocurrency for you. It depends on you. I hope that this guide helped you to work out which way is the best way for you, and that you found our instructions simple and easy to follow. You should now have a good understanding of how to buy cryptocurrency. So, which way did you choose? Let us know! Note: you should always speak to a financial advisor before making any major investments and never invest more than you can afford to lose. Hi Ray. This is an awesome guide! You covered the big exchanges well. And I know how tedious it can be to create something like this. In the spirit of bringing more new users into the crypto world, I built a search tool that lets you find the best way to buy cryptocurrency based on your location and payment method.